Update: Apparently it was just a bug that utterly erased tablets off Google’s Android sites in many languages and localities (I couldn’t check them all), and the tablet section has now returned. False alarm! But don’t be surprised when it happens for real some time soon. 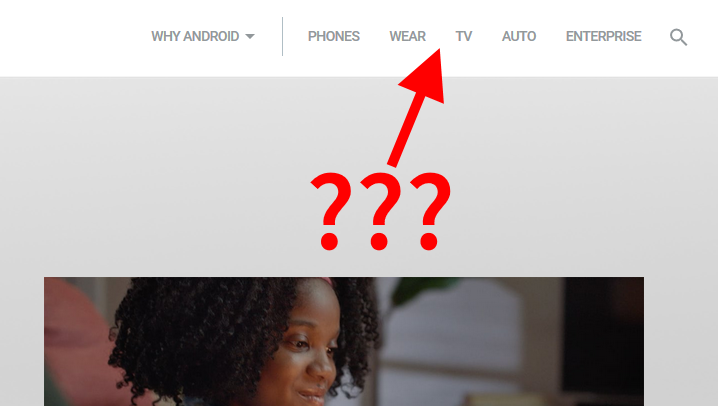 Google has quietly crept out of the tablet business, removing the “tablets” heading from its Android page. Perhaps it hoped no one would notice on a Friday and by Monday it would be old news, but Android Police caught them in the act. It was there yesterday, but it’s gone today. We (well, Romain) called tablets dead in 2016, which was probably a little premature, since over 160 million of them shipped last year — but even so, it’s not much of a life they’re living. Google in particular has struggled to make Android a convincing alternative to iOS in the tablet realm, and with this move has clearly indicated its preference for the Chrome OS side of things, where it has inherited the questionable (but lucrative) legacy of netbooks. They’ve also been working on broadening Android compatibility with that OS. So it shouldn’t come as much surprise that the company is bowing out. Sales have dropped considerably, since few people see any reason to upgrade a device that was originally sold for its simplicity and ease of use, not its specs. I, for one, have been using the third-gen (1st Retina) iPad since its release approximately 500 years ago and have never felt any compulsion whatsoever to get a new one. What happened to tablet sales? Cheap Kindle tablets from Amazon have proliferated somewhat, presumably as distractions for kids who would otherwise get fingerprints all over mom’s new phone, or for ultra-compact time-wasting on airplanes. Google’s exit doesn’t mean Android tablets are done for, of course. They’ll still get made, primarily by Samsung, Amazon and a couple of others, and there will probably even be some nice ones. But if Google isn’t selling them, it probably isn’t prioritizing them as far as features and support. Fortunately tablets aren’t subject to quite the same feature mania as smartphones, so it won’t really matter if your new Galaxy Tab or what have you doesn’t do all the cool new Google Assistant things. It plays a few games, stores your Pocket articles and lets you watch Netflix in coach. Something cheap along those lines will always be available, but Google’s done with that whole scene. I’ve reached out to Google for comment and will update if I hear back.